All good things must come to an end, and the last market on our Korean traditional food tour was the Tongin Market located in the same neighborhood as Seoul’s Gyeongbokgung Palace. Welcome to week 299 (10/27/2016) of Travel Photo Thursday. If you missed the first two markets visits and the delicious food you can find them here and here. Apologies that I’ve not been around much the past two weeks. It’s midterm time, and that makes for some long days. Tongin Market opened in 1941 during the Japanese occupation and catered to Japanese residents in the area. 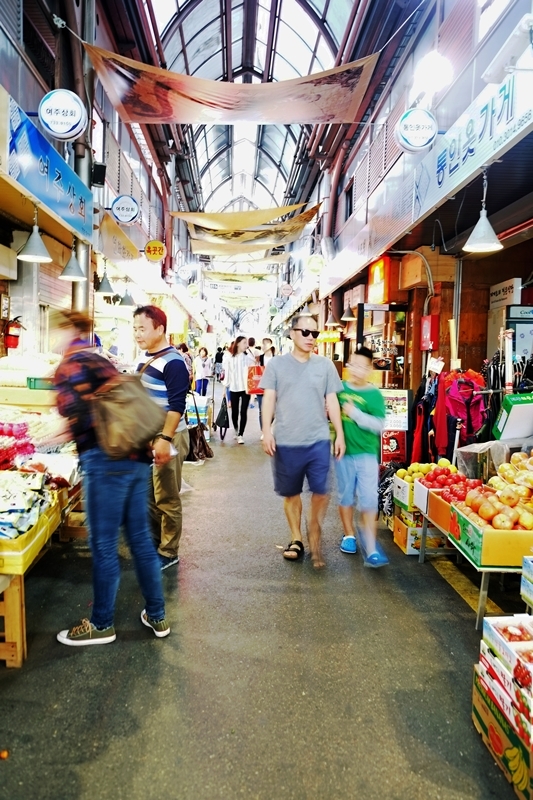 Once the war ended and the Japanese were expelled Korean storekeepers moved into Tongin Market and set up shops selling local products, and restaurants selling Korean traditional food. Nowadays, the market is frequented by both locals and tourists. 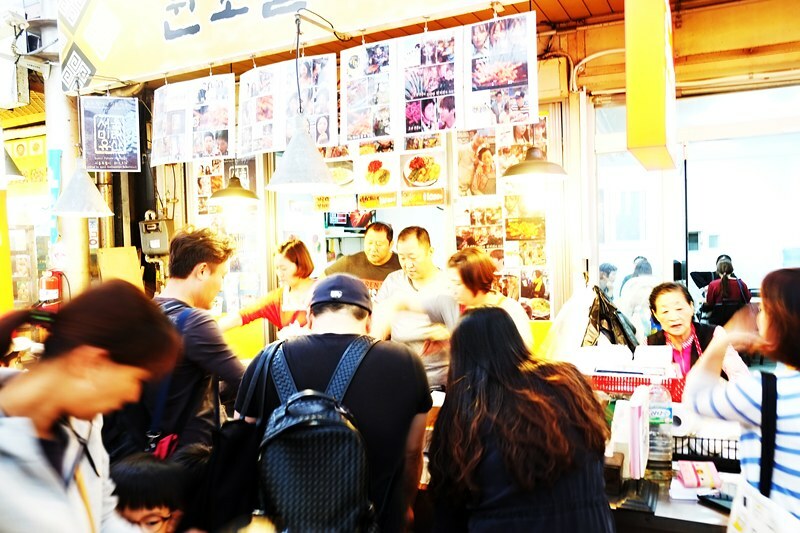 The most popular food in the market and the reason for our visit is the gireum tteokbokki. Tteokbokki, made from soft rice cake, is stir-fried in oil with either soy sauce or red chili sauce. Our tour guide told us that this was the best tteokbokki vendor in the market and all of his other recommendations had been spot-on, so who were we to argue. We ordered a small plate with the red chili sauce. Regular readers of the blog know that I never turn down spicy, and these were hot! My taste buds were on fire, and it was love at first bite. I took this photo just after we finished eating. When we sat down, there was nobody close to the stand, and within 60 seconds all of these people were milling around waiting to order. Maybe we attracted all the customers! Notice all of the photos on the back wall. These are pictures of all the famous people who have eaten here over the years. This photo gives you an idea of what Tongin Market looks like. 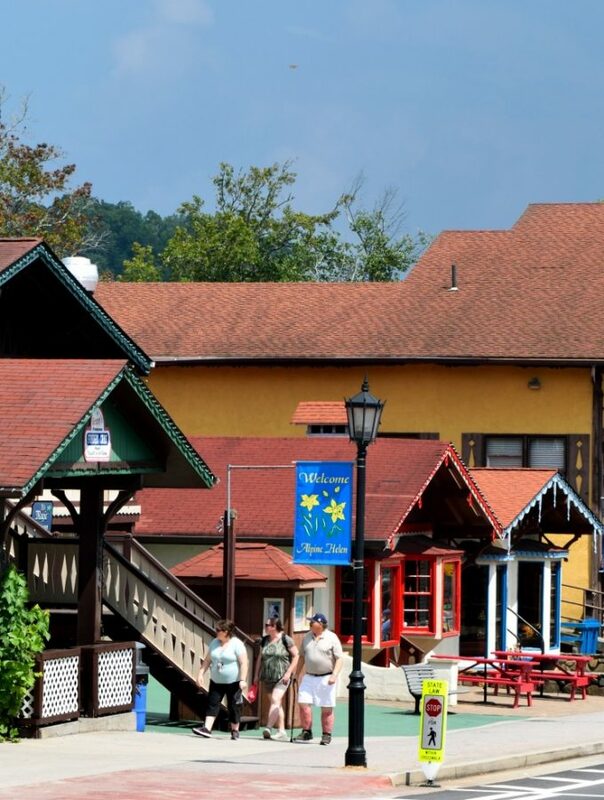 Today, it’s home to about 75 shops and restaurants. There’s a huge variety of Korean traditional food available. If you arrive between 11 am and 4 pm, pay 5000Won (receive some tokens), and you’ll receive an empty lunch tray. You walk through the market and choose whatever food you want to sample from the various food stalls. We arrived just as the lunch service was ending, so I’ll be going back another day for lunch. It’s best to stroll past all the vendors before deciding which items will make it onto your tray. Once you’ve made your choices, you can go to the cafe upstairs to enjoy your lunch, and purchase a beverage. This is a fantastic opportunity to sample a variety of Korean traditional food at a reasonable price. Take Subway Line 3 to Gyeongbokgung Station (Exit 5). After exiting, continue for 500 meters and the market is on your left. Hours vary by store. Stores are usually open 9:00-18:00, but open as early as 7:00 am and close as late as 19:00 pm. Food vendors and clothing shops are open on Sunday. Other shops are closed. 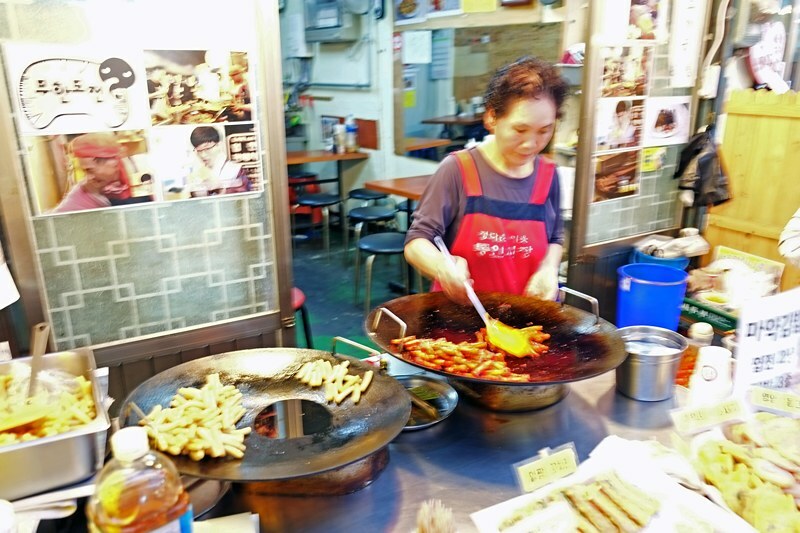 Have you ever tried gireum tteokbokki, or visited the Tongin Market? Let us know in the comments. street food – yum! hmm….harsh lighting….I’ll leave you to work on that one and let us know how to deal with it. I’ve never been to Korea but would love to. 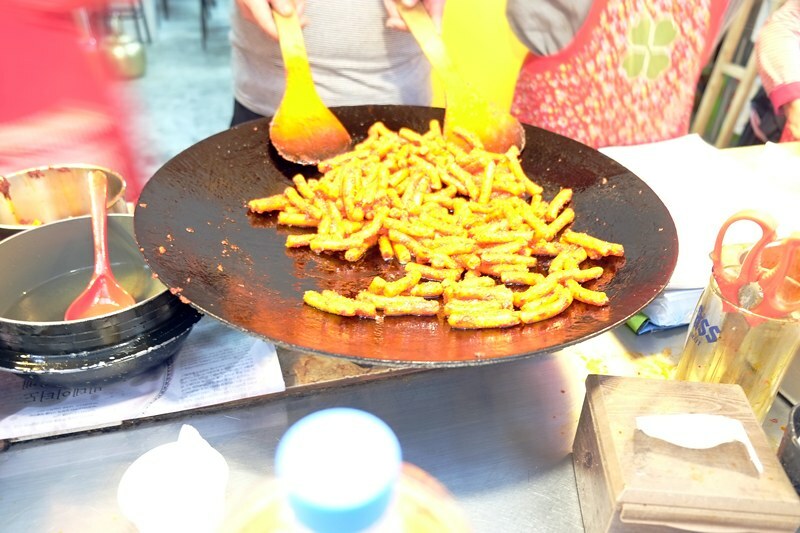 Street markets (and food that that sets your mouth on fire) are two of the main reasons! Hi, Shobba. I think you’d enjoy the food here, and spicy is the name of the game! So going there when I’m in Seoul – though I’m not sure I could handle that level of spiciness! Hi, Jill. Try the once with the soy sauce, and I think you’ll be happy! I love the idea of paying a set amount and then sampling from wherever I choose! A yummy idea and a mouth-watering post, Nancie! Hi, Jackie. Thanks! I definitely want to go back to Tongin Market and try the lunch box. Street food in Asia – everyone needs to try! Wow! I would love to visit this market. Selecting food from different vendors seems like the way to go. My husband will love these markets (and Korean food in general) since he enjoys spicy food (you had to see the stuff he ate in Thailand). I am not such a fan of spicy food but I am sure I will find plenty to eat. Hi, Jill. I think both of you would enjoy the Korean food scene. I agree, you would find plenty to eat without the spice! Tteokbokki (how do you pronounce it?) sounds like it would be a little too hot and spicy for my liking. I like the idea of wandering around the market with a food tray trying a bit of everything. What a great way to try new cuisine. The token and tray system sounds very easy and I would love to stroll around the market collecting my lunch. I love the high skylights in the centre of the aisle flooding the market with light. I love, love, love tteokbokki; the spicier the better! Your tour of the market really makes me miss Korea! I love visiting markets when I’m travelling! It really gives you an insight to a different culture and cuisine. Tteokbokki seems interesting and I would love to try it some day and being a lover of spicy stuff too, my mouth is already watering haha! Thanks for sharing! Wow, I wish I’d known about Tongin Market when I was there. That lunch deal sounds like my idea of a heavenly meal. When I’m in a new place, I want to try EVERYTHING, and a deal like that would allow me to do that. Tteokbokki sounds good, but I’d take it without the hot sauce! HI Nancie. I’ve never been to Korea, but when I do get there I would love to take in the Tongin Market. Thx so much for sharing. I really like that lunch deal where you can sample foods from many different stalls. When I’m visiting a place, I really like a try a variety instead of committing myself to one dish. This would be a great way to try a lot of different Korean dishes. I haven’t been to Korea but love visiting food markets like this wherever I go. I love food markets! They are always such an adventure. I’ve never been to Korea but I would love to try tteokbokki – sounds delicious. Street markets are a great experience and definitely a unique perception of the place you are visiting. I could feel the spirit of the place through your post, Nancie!